Comedian Sarah Silverman may have loved America — but America apparently didn’t love her back. I Love You, America, a political talk show hosted by Sarah Silverman on Hulu has been cancelled after just one season of 21 episodes. In a new trailer for the upcoming season of Sarah Silverman’s show “I Love You, America,” Silverman goes after “Allah” instead of the Christian God. 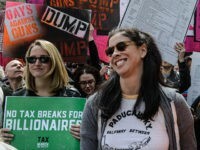 Comedian and left-wing activist Sarah Silverman claimed ‘patriotism is perverted,’ called President Donald Trump ‘childish,’ and mocked what she called the “Christian fringe” in an interview to promote her new Hulu television series this week. 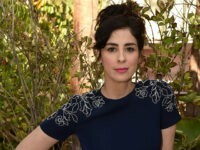 Comedian Sarah Silverman is offering a “once-in-a-lifetime” experience for a lucky fan to meet her on the taping of her new show in exchange for a donation to abortion business Planned Parenthood.